Ting Mobile was founded in 2012. It is a wholly owned subsidiary of publicly traded Tucows INC. At launch, service was provided exclusively on the Sprint network. Since 2015 it has also partnered with T-Mobile. Customers with multiple devices can use them on either network within the same account, however each device can only be exclusively used on one network or the other. 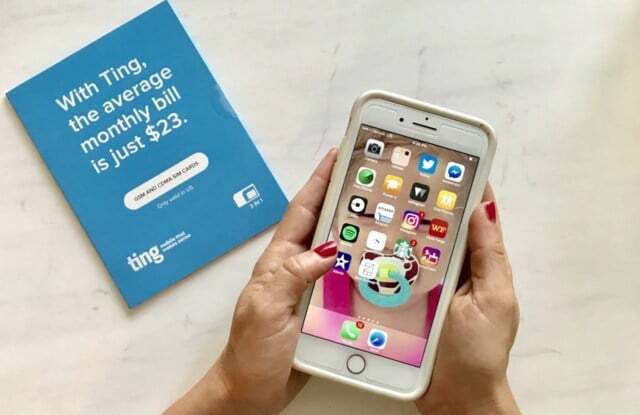 Just one year after launch, Ting Mobile got rid of monthly prepaid plans in favor of what it calls “rates.” It has remained that way ever since. 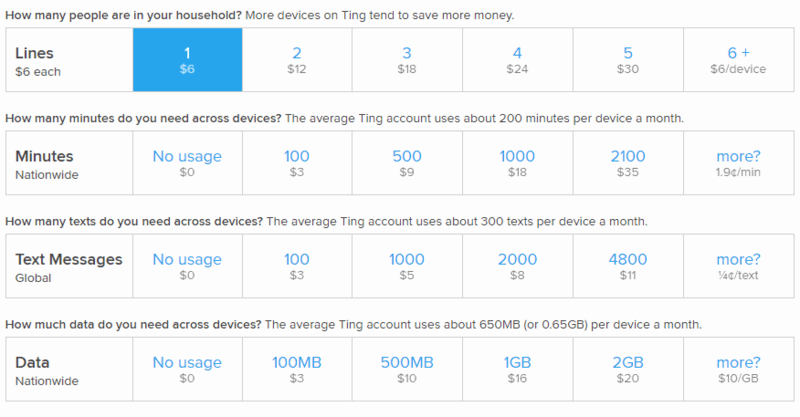 Through the rate model, Ting has effectively become a postpaid provider with a big twist. Customers don’t actually choose a phone plan. Prior to the rate model, customers built their own phone plans and effectively got a refund at the end of the month for any unused talk, text or data that they had in their account. Now customers pay at the end of the month for what they actually used during their billing cycle. A few sample plans were listed in the table above. A full breakdown of Ting’s “rates” is below. If at the end of your billing cycle you only used 57 minutes, 700 texts, and 350 MB of data, your phone bill would cost you $3 for the minutes, $5 for the text messages and $10 for the data plus a $6 line charge. The next month you may pay something different depending on how much of each service feature that you use. Since Ting technically does not sell plans, there are no retail stores to purchase plans from. You can however pick up a SIM card either directly from Ting or online through Amazon among other places. Any phone that is compatible with Sprint’s network that is out of contract and paid off in full should work just fine with Ting. Any phone compatible with T-Mobile that is paid off in full and has no contractual commitments will also work. Most AT&T and Verizon devices are compatible as long as they have been unlocked. Universally unlocked phones from manufacturer’s such as Motorola and Samsung are also suitable for use with Ting Mobile. Customer support is available over the phone, through email and through community forms. $6/month per line. Pay for what you use instead of a fixed monthly amount: 1-100 min=$3, 101-500min=$9, 501-1000min $18. 1-100 text=$3, 101-1000 text=$5, 1001-2000 text=$8. 1-100MB=$3, 101-500MB=$10, 501-1000MB=$16. Multiple lines on same account share minutes/texts/data.